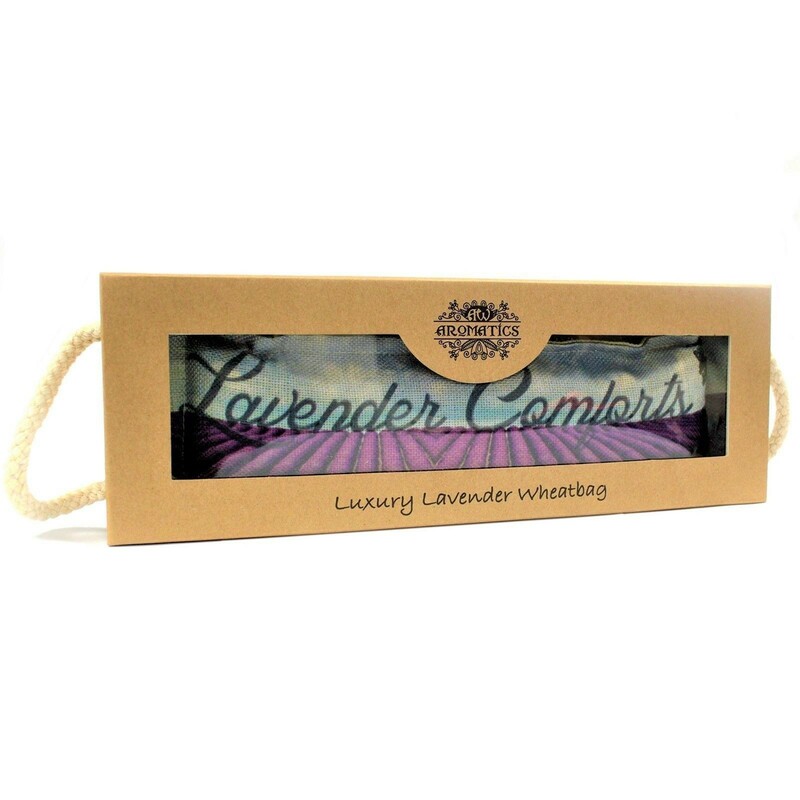 This Luxury Lavender Wheat Bag presented in gift boxes are ideal for relaxation and pain relief therapy. Wheat bags have been used in alternative therapy for many years. With a unique cellular structure which can absorb heat or cold quickly and then release it evenly, helping conditions such as arthritis, menstrual pains, aching joints etc. Lavender is renowned for helping to relieve tension and pain so you can imagine how relaxing these are combined. An excellent and safe alternative to hot water bottles. Each wheat bag is filled with a mixture of wheat, lavender flowers and pure lavender essential oil. Simply heat in the microwave on full heat or 2 minutes (times vary) or alternatively cool in the fridge.